Microsoft has just released an official Outlook app to the App Store for those rocking an iPhone or iPad. The interface is very much built in the image of Windows 8, but if you can see past this lack of uniformity with the look and feel of iOS, the app does offer one or two features not currently available in the Web app. All of the important details, as well as that download link, can be found right after the break. 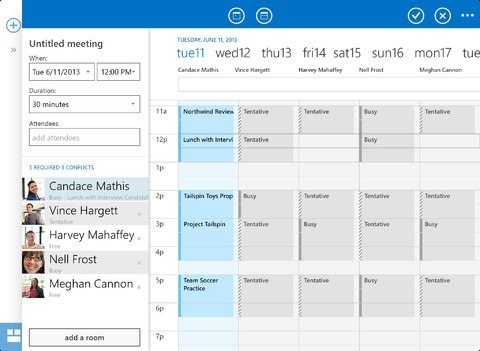 Microsoft’s Office suite has taken a long time to reach mobile space, and with key Microsoft figures like Bill Gates having spoken in great length of how iOS devices are inherently weakened because of the lack of Office support, Microsoft Office 365 Mobile for iPhone finally made its App Store debut last month. 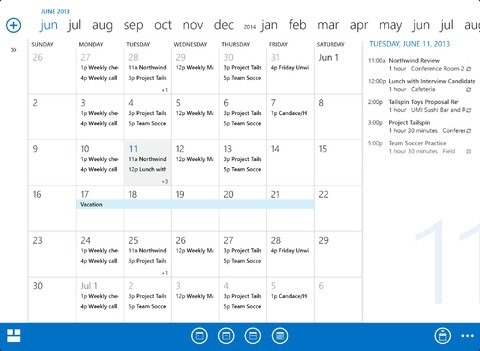 Since that point, the software maker has continued to update and improve access to iOS users, including a notable overhaul of the OneNote app for iPhone and iPad, and today’s release of Outlook – or OWA for iPhone / iPad as Microsoft is calling it – is clearly just the latest in a push to expand the reach of the immensely popular productivity suite. But, keep one thing in mind, this app is not a native iOS app, it is a Web app, but with some added features. 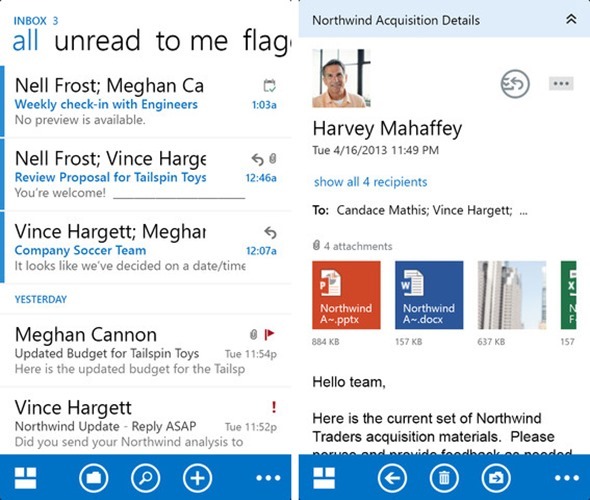 Anybody using the new Outlook app, which offers the incoming mail notifications many of you will probably have yearned for in using the Web version on your mobile, does appear like a Windows 8 app rather than an iOS app. Then again, Microsoft is in no way obligated to conform with Apple’s design ethos, and with the Cupertino company seemingly turning its back on the current aesthetics of iOS, perhaps it’s a move for the best. The squared-off look is actually anything but an eyesore, and having, like most techies, used umpteen mail apps in an ongoing quest to find something absolutely perfect, Outlook for iOS is certainly one of the prettier ones. As mentioned in the release notes by Microsoft, those downloading the new Outlook app will require latest update of Office 365 for business in order to use it. If you’re on Android be sure to check out the official Outlook for Android app on the Google Play Store. Download it via the link below, and be sure to leave your thoughts in the comments. OWA requires iPhone 4S or iPD 2 with iOS 6.0 or later…OK. Requiring a subscription is just rediculous! No thank you. If you are having trouble սոⅼοсking AT&T l0cked devices, go check out just google atttiphoneuunlocking, it’s without doubt the most reliable site for ՍΝᏞΟᏟΚing AT&T phones, we can ՍΝᏞΟᏟΚing the new 6S and 6C as well.